The British parliament will hold five days of debate on the prime minister's Brexit deal. 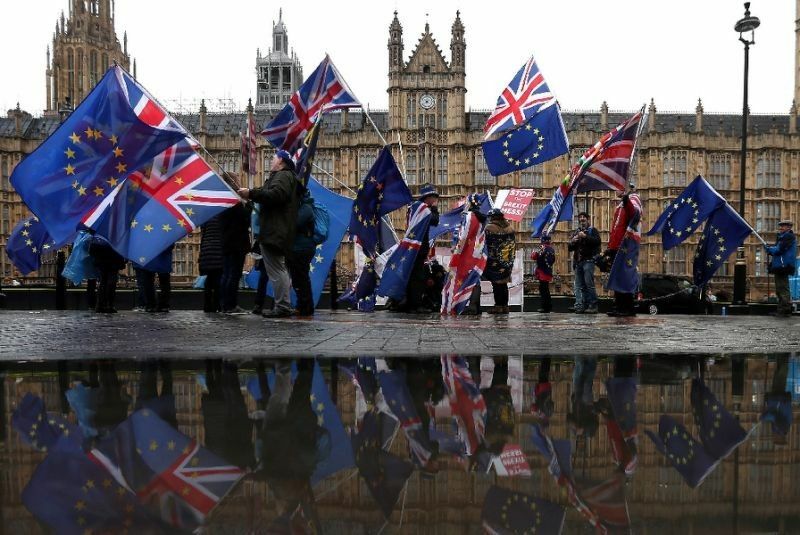 London - UK lawmakers held up a momentous Brexit debate on yesterday, accusing the government of contempt over its handling of the withdrawal agreement, as a top EU legal opinion stated Britain could even call off its departure from the bloc altogether. Prime Minister Theresa May is facing resistance on all sides of the House of Commons to the withdrawal agreement she struck with the European Union last month. Its chances of being approved look slim, raising the risk of Britain crashing out of the world's largest single market on March 29 without trade arrangements in place. The Conservative leader was set to tell MPs in a speech later on yesterday that the deal "delivers for the British people". "The British people want us to get on with a deal that honours the referendum and allows us to come together again as a country, whichever way we voted," May will say, according to comments released by her Downing Street office. But her speech is being delayed by a dispute over the government's refusal to publish the full legal advice it has received about the implications of May's plan. Conservative House leader Andrea Leadsom told MPs that May's government had a right to receive confidential opinions that were unhampered by political considerations. "What we break now may be very difficult to fix later," Leadsom said. The row is unlikely to have any impact on the course of Brexit. But it does highlight how little control May's fragile minority government has over MPs ahead of next yesterday crucial vote. Downing Street reaffirmed on yesterday that May has absolutely no intention of doing so -- and that the ruling was in either case only advisory. The vote next week has huge implications for Britain's future and that of May herself. Left-wing Labour said May's defeat next yesterday would likely trigger a confidence vote to bring down her government. The Democratic Unionist Party (DUP) -- the Northern Ireland party propping up May's government -- also objects to special provisions for the province. The EU Withdrawal Agreement covers a settlement of Â£39 billion (43.7 billion euros, $49.8 billion) that Britain will have to play for leaving.